This little lovely piece should be called “My First Bunny”. Little hands will love holding and jiggling this cute toy, while at the same time it’s safe for exploration by little mouths. Is anyone expecting in your family or amongst your friends? 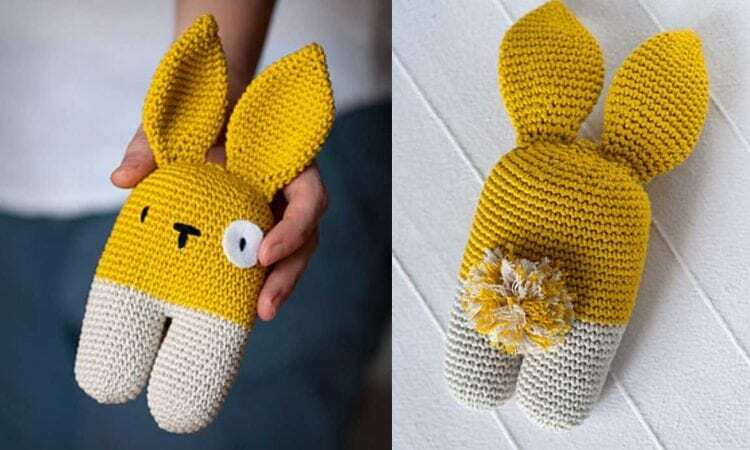 the Two-Legged Rattle Bunny is a perfect baby shower gift. Make one, make a dozen. They will all be loved. A link the free pattern is at the end of the post.